A special report by IRIN, built on field visits to Nigeria’s north-eastern region which the military has re-taken from the Boko Haram insurgency, reveals an unprecedented humanitarian disaster in the Lake Chad Basin region. In Europe, Syrian refugees with the means head for their country of choice, armies of aid workers and volunteers helping them along much of the way. In West Africa, Nigerians displaced by Boko Haram have relatively little help and find refuge where they can, IRIN says in its Nov. 2 report, “Fleeing Boko Haram: Nowhere to Run, Nowhere to Hide”. Some walk hundreds of miles, crossing the border into neighboring Chad, Niger or Cameroon. The majority remains as internally displaced people in Nigeria, reliant on the kindness of friends or extended family to get by, or crowded in schools converted into unsanitary camps. The US-backed and UK-based IRIN, originally named Integrated Regional Information Networks, was until this year part of the UN Office for Humanitarian Affairs (OCHA) and reports on humanitarian aid around the world. It reports that more than 25,000 people have lost their lives in the past six years, and more than 2.5 million others have been displaced in the Lake Chad Basin region since May 2013 – around four times the number of migrants and refugees that have arrived in Europe so far this year. Many of the displaced are Christians: for instance, 178 out of the kidnapped Chibok schoolgirls are members of the Church of the Brethren, or Ekkliziyar Yan’uwa a Nigeria (EYN). EYN, based mainly in the northern part of the country, is the Church worst affected by the insurgency. 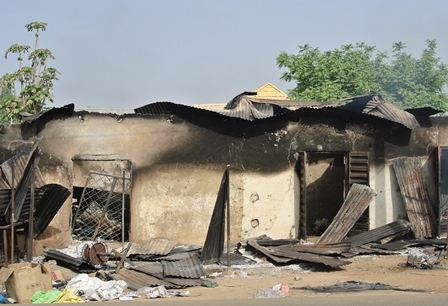 Boko Haram has almost wiped it out of existence in many areas of Borno, in part of Yobe, and in Adamawa, the three most affected states in northern Nigeria. 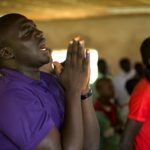 The President of EYN, Reverend Samuel Dali, recently told World Watch Monitor that more than 8,000 of his church members have been killed. The church which has over one million members has seen about 700,000 of them displaced and now scattered in places like Jos, Abuja, Kaduna and Yola. Some 15,000 others have sought refuge in neighboring Cameroon. 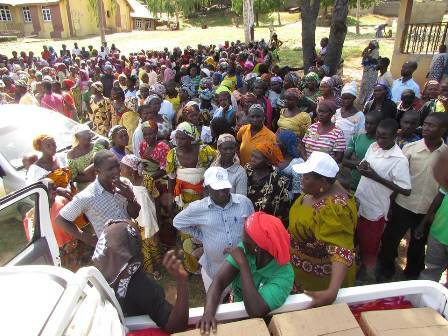 World Watch Monitor was told heart breaking stories of displaced people who fled from Mubi to Cameroon. While running through the bush with Boko Haram fighters chasing after them in the night, one child running with his mother were bitten by a snake. Shortly after, the child started bleeding severely and getting weaker. The mother had no choice but to leave the child behind to die and run with the others to save her life. Also, a man running while carrying two children suddenly fell down and died, perhaps from a heart attack. The little children tried to wake him up, calling “Daddy! Daddy! Stand up, let us run!” But he was dead. Unfortunately, none of those running away too could stop to help: the children were left behind with their dead father. Another account is that of a pregnant woman who, while running, started having labor pains. The other women running with her could not stop to help her. But one of them out of sympathy untied one of her cloth wrappers and threw it to her saying “if you deliver, wrap the baby in this cloth”. Then everyone ran away, leaving her in labor. For many who have fled Boko Haram, the violence follows them, notes IRIN. Scores of people have been killed in the last few weeks in a string of suicide bombings in the main north-eastern cities where they seek refuge. Border areas where refugees flee are increasingly under attack. So pervasive is the insurgency, it is even starting to strike the displacement camps where the most desperate seek help, it says. 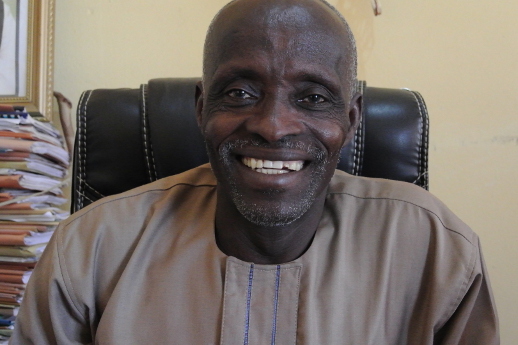 ”The destruction of lives and property, the kidnapping of women and children, church leaders and school girls have the potential to become genocide of Christians in northern Nigeria in general and, in particular, the members of EYN community in Borno, Yobe and Adamawa states” said Rev Dali before calling for help to end the ”the vicious cycle of death and displacement”. In recent months, however, dozens of towns and villages in northeastern Nigeria that were taken by militants last year have been liberated by the Nigerian military, prompting the return of thousands of apprehensive residents. But the situation is still volatile as abandoned vehicles, burnt buildings, destroyed farmland and the stench of decomposed bodies provide constant reminders of what has gone before and what could happen again. Apart from military bases and security checkpoints, few government institutions are functioning. Most health centers remain closed, while abandoned schools have been taken over by rodents and reptiles. EYN says it has suffered a huge loss, as about 70 percent of its properties have been destroyed. Since 2009, more than 1,600 churches have been destroyed and all EYN training and health centers in North-Eastern Nigeria have been also destroyed or closed down. The IRIN report provides firsthand account of the disaster, with pictures of victims and survivors. It includes charts detailing the impact in numbers, and a timeline of the crisis, and asks “where should these uprooted millions of refugees go?” It’s not an easy question to answer.